To keep your Tacoma or Seattle home safe, schedule your yearly chimney inspection. Locally owned, The Chimney Specialists, Inc. has been providing chimney inspections to homes in Tacoma, Seattle and the surrounding communities since 1978. 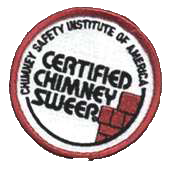 Our chimney inspections and chimney cleanings go hand in hand as our Chimney Safety Institute of America Certified Chimney Sweeps always provide an 18-point inspection with all our chimney cleanings. Why include an inspection and cleaning? The National Fire Protection Association (NFPA) recommends homeowners have their chimney inspected and swept annually to keep a safe and efficient system. Our technicians inspect, install, sweep and maintain these systems, diagnose chimney performance issues, describe changes for performance improvement and educate the customer about safe and efficient operation of fireplace venting systems. Our certified chimney sweeps use an 18-point chimney evaluation when performing chimney inspections. This Type One Evaluation inspection includes checking the following areas. Chimney Specialists were on time, thorough and clean. They did an inspection of the chimney and fireplace insert. They fixed everything up after years of neglect and corrected several problems that would have been a fire hazard. They did a good job of cleaning up and did not leave the house sooty or messy. The overall bill matched the estimate. When do you need a level two chimney inspection? Our level 2 (also referred to as Type 2) chimney evaluation inspections are necessary when there has been structural damage to the chimney, such as damage caused by an earthquake or severe flooding or if there has been a chimney fire. With this type of inspection, our knowledgeable technician drops a camera down the chimney to get a better look at the interior. Our video inspections are done upon request and prices range from $295 to $325 (plus tax) depending on the type of chimney you have. Please note we do work with insurance companies on this issue.